I have a love for a sweet white wine in the evening after the kids go to bed (and some afternoons when they are extra rowdy). 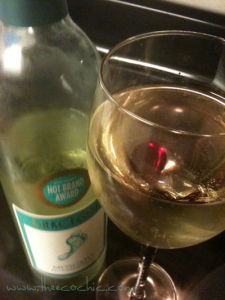 My favorite recently is a Moscato (any brand really). 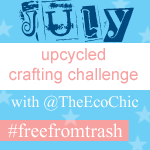 I wrote yesterday about glass jars (and bottles) and how glass NEVER degrades in the landfill. I’ve been dreaming of a wine bottle project ever since I heard about cutting glass bottles with a piece of string and some acetone (or lighter fluid). You can make vases or drinking glasses once you cut the top off of the glass. After doing a little research I got too scared to actually try it myself. I read that the string method doesn’t always give you a smooth finish and that you should really use a glass cutting tool. Instead I too myself back to my college days and decided to get a little romantic with my empty wine bottle and a candle. 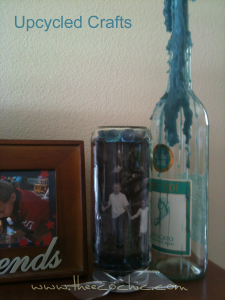 Simply place a tall candle into a clean wine bottle and watch the magic begin. 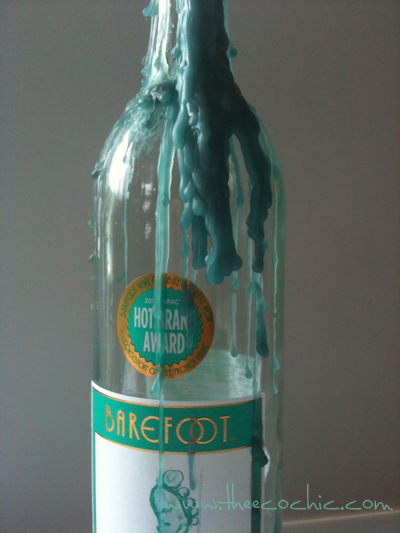 As the candle burns the wax drips down the candle and onto the bottle creating a very romantic look. 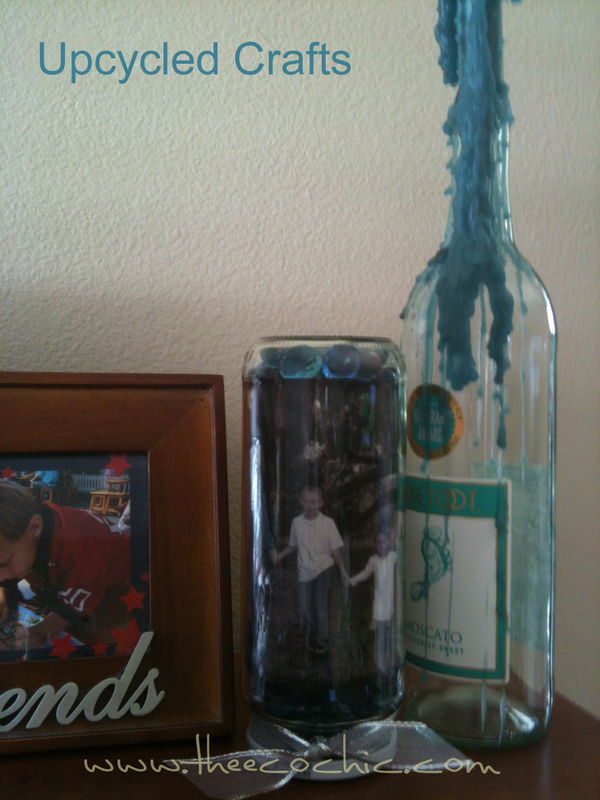 The romantic candle wine bottle looks nice displayed on a mantle or desk.